We’ve broken up the renovation plans into various phases. Phase 1 will be done before we move in- the main goal is to make a section of the house livable! The entire house will be demoed and cleaned, a couple walls will be removed, and A/C will be installed. The living room, dining room, and two of the bedrooms will have restored hardwood floors and new paint, and we’ll re-do the front bathroom. 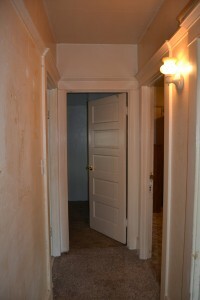 Here are before pics of the rooms that will be fixed up in Phase 1- put on your imagination hats! The Living Room- I’m standing at the front door. Fireplace and built-ins! Now I’m standing at the fireplace looking back at the front door. I love the front door (minus the curtain) and the molding. Now I’m in the dining room at the front window, looking into the kitchen. 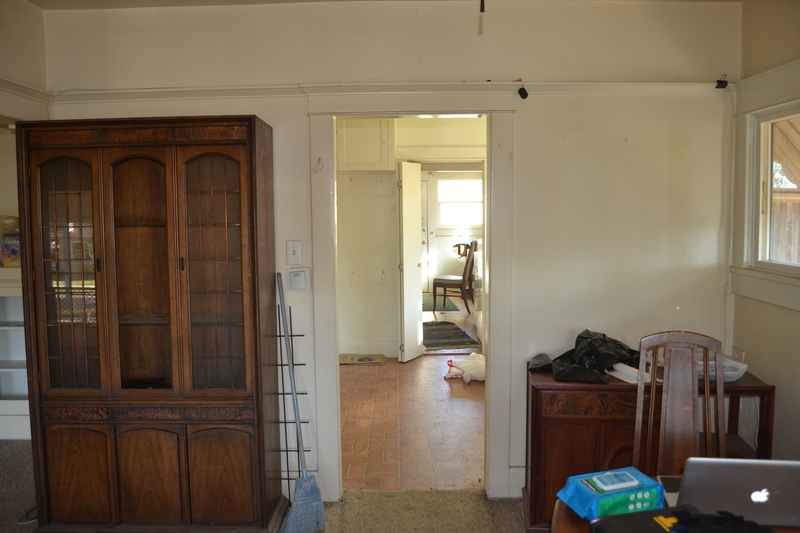 The doorway into the kitchen will be opened up to double its current size. I’ll show you more of the kitchen in my next post. 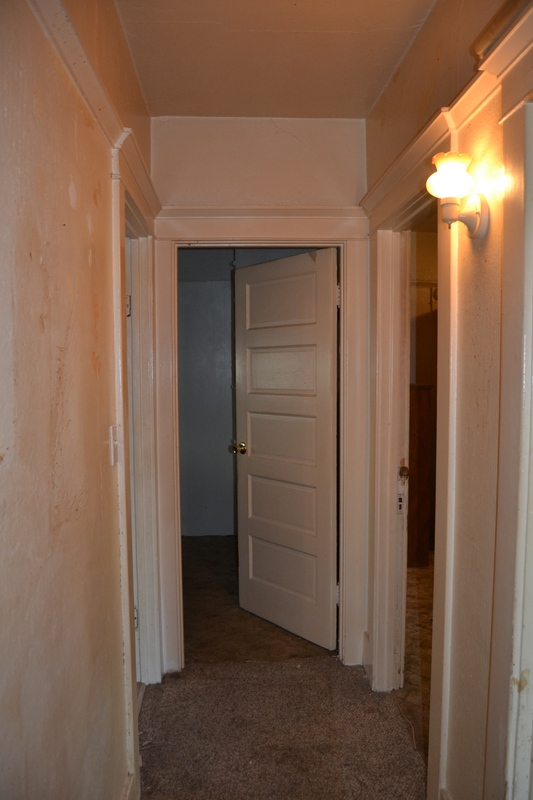 Now we’ll turn around and go back through the living room to the hallway where the bedrooms are located. 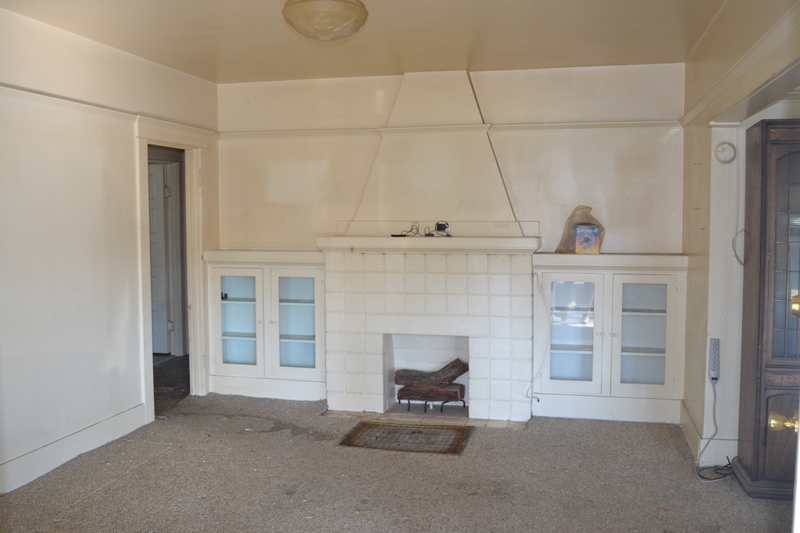 If you’re looking at the fireplace in the first picture, it’s the doorway on the left. I just had to hold up my thumbs and index fingers to find the L to know which way was left- I think I’ve got a lot on my mind, and that ditzy pregnancy brain thing is kicking in. Fun times. Trav tells me this stain is Coke. And I’m choosing to believe him. I didn’t see this owl up in the corner of the hallway until my third or fourth time at the house. I don’t like him. Maybe because he’s surrounded by the coke splatter. And he’s lurking up there. Ick. 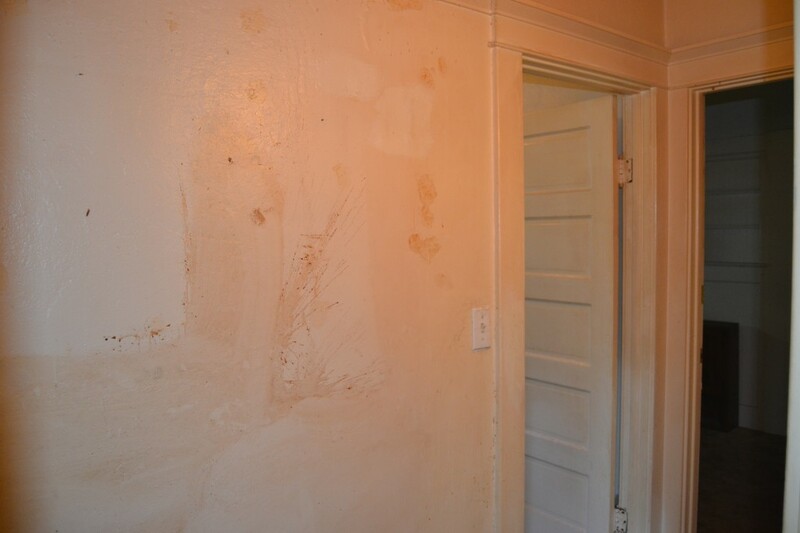 This bedroom is at the front of the house, and it is the room that was the dirtiest. It will be our bedroom until the master bedroom is completed (Phase 3- hopefully within the year). 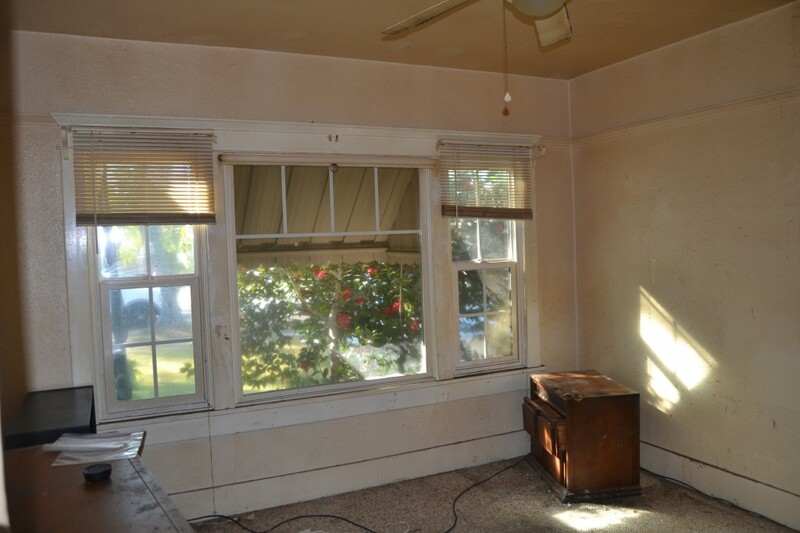 Just imagine it clean and with new paint and flooring! The awning outside will also be removed. I love the big window. Other side of our bedroom. 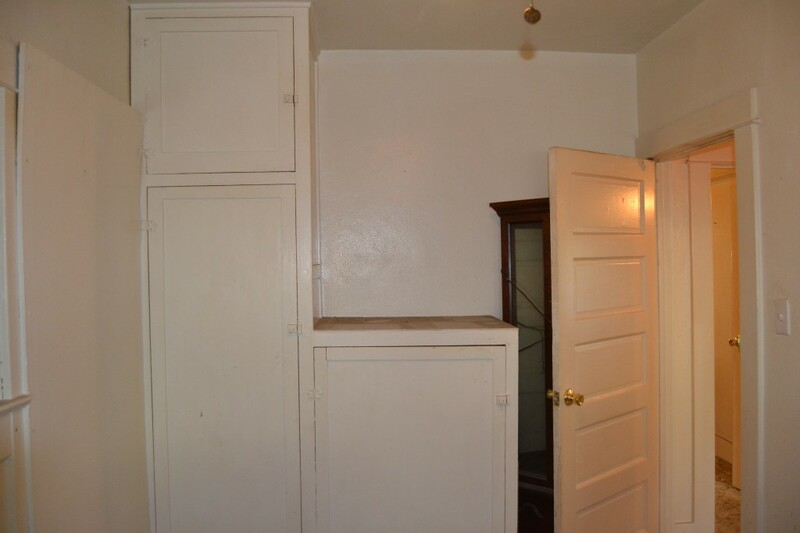 The closet goes the whole width of that wall to the door, so the wall will be opened up to make it accessible. Back to the scary hallway. Bathroom on the left, nursery straight ahead, future master bedroom on the right. Bathroom. Everything will be gutted and replaced. I have chosen not to step inside this room at all. 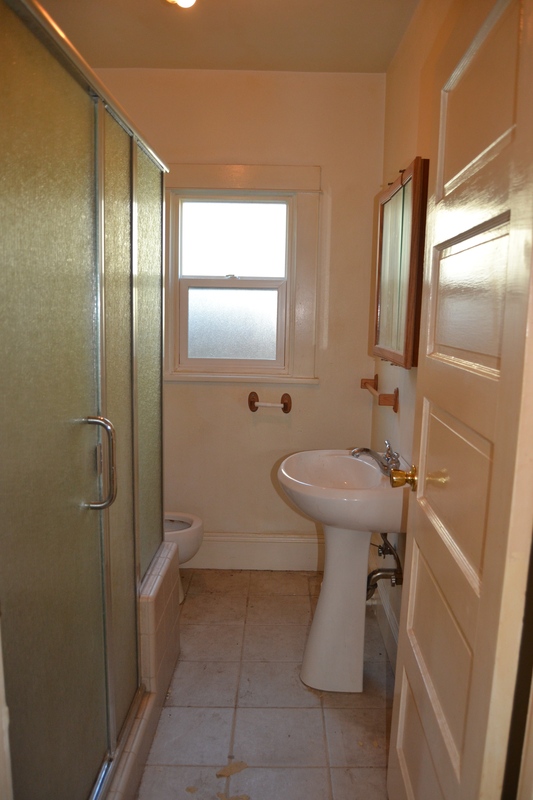 Old bathrooms give me the shivers. Other end of the nursery. 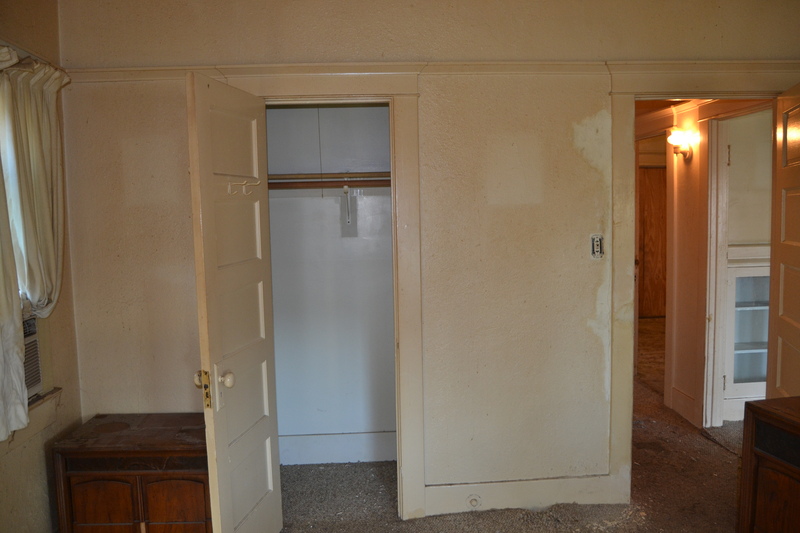 The built in closets will be removed b/c they’re pretty gnarly inside. 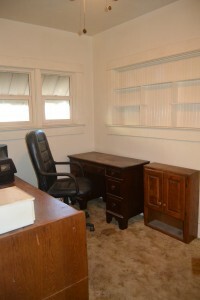 We’ll use a dresser or armoire for the time being. And when the master bedroom re-do happens, this room will also gain more square footage and a closet. I hope you enjoyed the first part of the tour! Hilarious, Laura! Love it! So much potential and with your creativity, I have no doubts it will be amazing. How exciting! Congrats. Wow! A lot of work, but lots of potential! Laura, I love how you think…I had some of the same thoughts! I’ll be praying that everything goes smoothly. It all sounds a little daunting, but mostly awesome…to make a house into your own home! Love you and thrilled for you, Travis, and Baby Girl Awesome! It will be amazing!! I already love it. 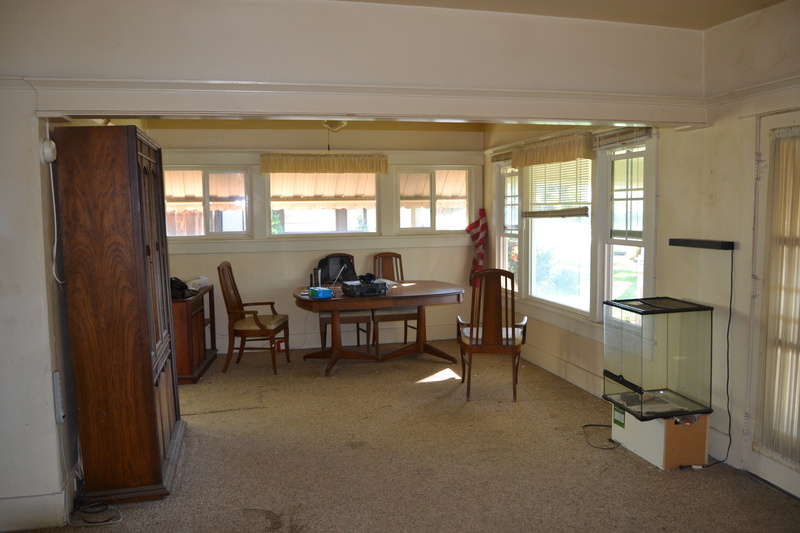 It will be so interesting to watch the renovation of this old home on your blog. I love the street especially the lovely old trees. It has GREAT potential! 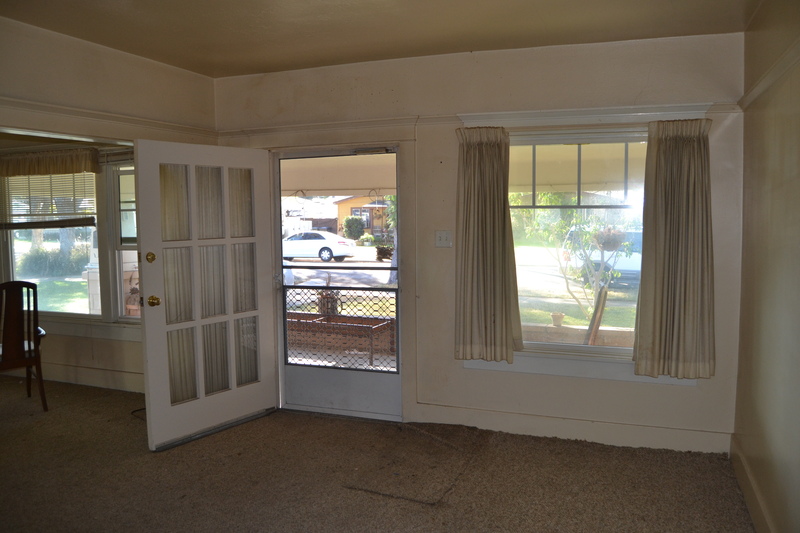 All of the original moldings, the built-ins, doors, windows!! Swoon! The owl though….what the heck?! That is creepy. And I like owls, but in trees, not houses. So excited to see it and hear more! Have fun! Can’t wait to see it all transform! And it’s definitely Diet Coke. 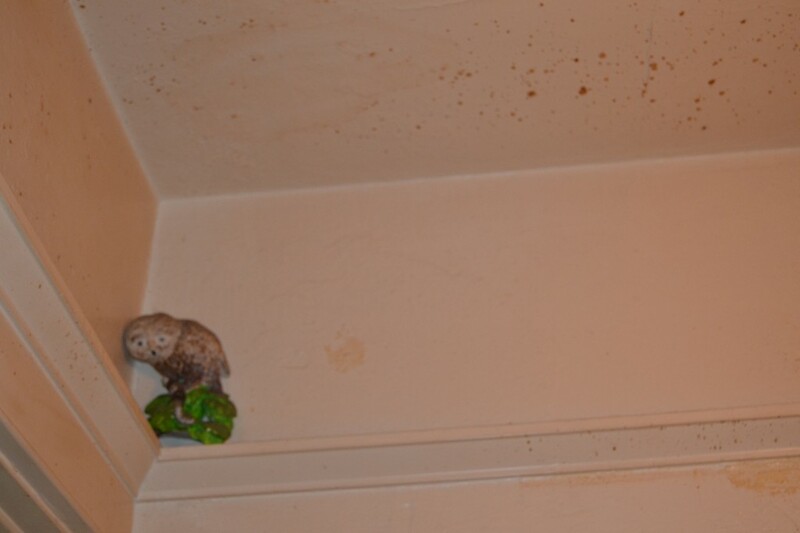 The previous resident lived on that stuff–no food, just diet coke. I’m so thankful you can confirm that diagnosis!